Florida knew they had to get creative with the cap this offseason. That's the price they were willing to pay to bring back deadline acquisition, and new team captain, Zdeno Chara for another year. The experienced Slovakian leader signed a one-year deal worth $6,916,667, and is set to team up with Tyler Myers on Florida's top defensive pairing. The first sign of the Chara contract ripple effect was the trade which saw Paul Martin head to Minnesota in exchange for a fourth round pick. The second sign was the announcement that Florida had bought out veteran D-man Mark Streit from his contract. Streit had one year remaining on a £3m, three year deal, and since he was due find himself on the third pairing (at best), Florida decided it best to cut ties early. That left Chara, Myers, Enstrom, Schenn & Cowen as Florida's five remaining pro D-men. Of course, Finnish prospect Esa Lindell is working tirelessly to earn a callup from AHL Portland, and he can't be far away now. 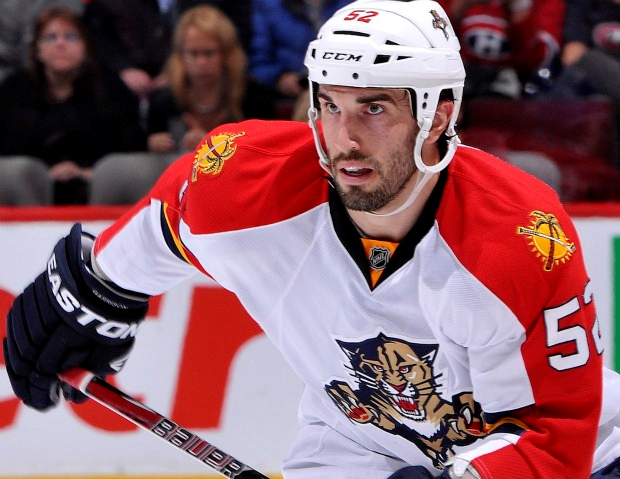 But Florida remained active in its efforts to sign affordable bottom-pairing types, and earlier this week, they announced that UFA's Andrew MacDonald & Jason Garrison had both agreed to terms on £1.6m, one-year deals to join the Panthers. Both MacDonald & Garrison offer experience & considerable shutdown qualities. And they'll both surely be delighted to be swapping a Columbus organisation in serious transition, for a Florida organisation that is quickly becoming a perennial playoff contender. The move likely spells another season of learning in the AHL for Lindell. Of course, the fact that each guy was handed a one-year deal strongly suggests that Lindell won't be in Portland for much longer. In other news, Florida also agreed to terms with veteran UFA goaltender Anton Khudobin. The Kazakhstan-born goalie signed a three-year, $1.2m deal.